Které nejčastější otázky pokládají zkoušející u ústní zkoušky z angličtiny na téma Austrálie a jak na ně odpovídat tak, abyste získali vynikající hodnocení. 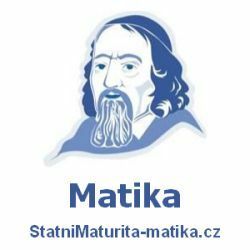 Připravili jsme seznam nejvíce frekventovaných otázek hodnotitelů pro maturitní okruh Ireland a vzory odpovědí na jedničku. Tak si je vyzkoušejte nanečisto v klidu a teple svého domova na mobilu či počítači. 1. Is Australia an island or a continent? Tell me about it. Even though Australia is often called an island continent, it is a continent. Australia is the smallest continent. It is separated from all other continents by oceans, it has its own culture, therefore it is considered to be a continent. 2. Where is Australia located? Tell me about it. Australia is located in Oceania. It doesn’t share borders with any other countries. There are Indonesia, East Timor and Papua New Guinea to the north; New Zealand to the south-east; and Vanuatu and the Solomon Islands to the north-east. 3. How many countries are there in Australia? Tell me about it. New South Wales, Queensland, Victoria, Western Australia, Northern Territory, South Australia, and Papua New Guinea. 4. Is Australia densely populated? Tell me about it. No, Australia is an underpopulated country. More than half of Australia is arid, therefore there are not suitable conditions for living. More than 85% of people in Australia live by the coast. 5. What is the capital city of Australia and where is it situated? Tell me about it. A lot of people think that the capital is either Sydney or Melbourne, however, the capital of Australia is Canberra. It is located in the south-east of Australia. 6. Which Australian city is the most famous in the world? Why? Tell me about it. The most famous Australian city is Sydney. It is well-known for the Sydney Opera House and the Harbour Bridge. It is also the most populous city in Australia, and one of the most expensive cities in the world. 7. Is Australia an independent country? Tell me about it. Yes, Australia is an independent country. It gained independence in 1901 by the agreement between the UK and the six Australian colonies. Australia is now both a constitutional monarchy and a representative democracy. 8. Is Australia special talking about the fauna? Tell me about it. Australia is very unique when it comes to animals. More than 80% of Australian fauna and flora are found only in Australia and no-where else. Some of the most famous animals are the koala bear, kangaroo, platypus, dingo, and wombat. 9. Are there any deserts or jungles in Australia? Tell me about it. Deserts make up 18% of the continent. The biggest one is the Great Victoria desert, located in southern Australia. Then there is the Great Sandy Desert, in the north-west, and the third largest one is the Tanami desert, situated in the north of Australia. In Australia, there are several rainforests. One of the most well-known ones is the Daintree Rainforest. Along with the Kuranda Rainforest, they are known as the oldest tropical rainforests on Earth. 10. Who are the original people of Australia? Tell me about them. The original people of Australia are called the Indigenous Australians, also called the Aboriginals. They are descended from the people who lived in Australia before British colonization. Nowadays, only about 100 000 of the Aboriginals remain. 11. Who were the first colonists in Australia? Were they somehow special? Please, explain. On 26 January 1788, the British colonial fleet, called the First Fleet, led by Captain James Cook, arrived in Sydney. It was a fleet of 11 ships, with 1500 people. More than half of them were convicts. The British prisons were overcrowded, therefore Australia was a penal colony, which means that it was used for the prisoners, to separate them from the population. 12. Is Australian English the same as the British English? Tell me about it. It is not the same, but it is quite similar. Australians have a very specific accent. Sometimes it is hard to understand them since the pronunciation differs a lot. Australians also use slang a lot, that’s why it sometimes seems like they are speaking a completely different language. Some examples: arvo= afternoon, brolly= umbrella, dunny= toilet, sheila= woman, barbie= barbecue. 13. What is special about transporting goods in Australia? Tell me about it. The special thing about how Australians transport the goods over the country is the road trains. A proper road train has 3 or more full-length trailers. That makes it 36.5- 53.5 meters long! In the more populated areas of Australia, they are banned. 14. Is Australia special, talking about health care and education? Why? / Why not? Australia has a healthcare system run by the government, known as Medicare. All taxpayers give 1.5% of income to Medicare, higher earners 2.5%. Most of the fundings come from the government. However, dentistry, optometry and ambulance transport are not paid by Medicare. The education is free for the citizens and permanent residents only in government schools. At first, kids go to a primary school for 7 years, then to a secondary school for 3 years, and lastly to a senior secondary school, which runs for 2 years. 15. What is the Great Barrier Reef and where is it situated? Tell me about it. The Great Barrier Reef is the largest coral reef system in the world. It can be even seen from the space. It is built by billions of coral polyps. It is also protected by the Marine Park, to limit the human impact. It is located on the north-eastern coast of Australia. 16. What are the symbols of Australia? Tell me about them. Flag- the Union Jack represents that Australia is part of the British Commonwealth; large white star with seven points- points stand for 6 countries, the 7th one is for the territories; stars of the Southern Cross, because it is clearly visible in the night sky. National colours- green and gold; gold represents the golden wattle (national flower), beaches, and mineral wealth; green represents the forests and eucalyptus trees. Kangaroo- it is a national animal of Australia, it also appears on the Australian Coat of Arms. People often see kangaroos as a mascot of Australia. Boomerang- represents the Indigenous Australians. 17. Who is the head of Australia? Tell me about it. The head of Australia is Queen Elizabeth II. She is represented in Australia by the Governor- General, currently General Sir Peter Cosgrove. He is appointed by the Queen. 18. Do you know any movies about Australia? Tell me about it. Crocodile Dundee- it is one of the first movies that introduced the outdoorsy Australia to the world. An iconic movie about Mick Dundee, the croc-hunter. 19. Do you know any world-famous Australians? Tell me about it. Nicole Kidman- actress and producer, famous movies: Eyes Wide Shut, Moulin Rouge!, Just Go With It, The Golden Compass. Hugh Jackman- actor, singer, and producer, famous movies: The Greatest Showman, X-Men, The Wolverine, Van Helsing. Heath Ledger- actor and director, famous movies: The Dark Knight, 10 Things I Hate About You, The Brothers Grimm. 20. Which sports are considered national in Australia? Tell me about it. Cricket is the national sport of Australia. It is played by two teams of 11. They play with a bat shaped like a paddle and a small ball. There is a wicket at each side of the pitch with two small sticks (bails) balanced on three stumps. The rules are similar to baseball. Another very popular sport in Australia is Australian rules football. It is played by two teams of 18 players. They play with an oval ball, on an oval-shaped field. Players can score by kicking the ball between or behind the goal posts. 21. What season is in Australia in August? Why? Tell me about it. The seasons in Australia are opposite to those that we have. Therefore in August, there is winter in Australia. Summer is from December to February. 1. Would you like to travel the Australian continent? Why? / Why not? I would definitely like to travel the Australian continent. I think that it is completely different than Europe, or the States, or any other continent. Almost everything about Australia is unique, so it has to be worth the visit! 2. Would you like to visit Australian jungles? Why / Why not? Yes, I would like to visit Australian jungles. I bet it is dangerous, but I have never been to any jungle. So with an experienced guide, I’d go for sure. It would be amazing to see the wildlife, to hear the birds, and also to see the waterfalls! 3. Which place in Australia would you never want to visit? Why? I don’t think there is a specific place I wouldn’t want to visit. But I would never go anywhere near the jungle alone, or without a guide. Australia has the highest number of animals that could kill you! There are giant spiders, crocodiles, snakes, sharks, venomous jellyfish, and more! 4. Would you like to travel to Tasmania? Why? / Why not? I would like to travel to Tasmania. More than 30% of Tasmania’s wilderness is protected, and there are more than 2000km of hiking trails! The nature there is breathtaking. I would also like to see the famous Tasmanian devil. 5. Do you know any typical Australian English words? Tell me about it. Australian slang is very specific. I don’t know a lot of Australian words, but I know that g’day means hi, sunnies are sunglasses, lappy is a laptop, and defo means definitely. Příspěvek byl publikován v rubrice Austrálie se štítky Australia a jeho autorem je NovýAmos.cz. Můžete si jeho odkaz uložit mezi své oblíbené záložky nebo ho sdílet s přáteli.